This fabulous cake is so fun to make. First you bake a two layer cake mix cake, then combine chunks of cake with a rich chocolate ganache to form a thick fudge-like mixture. This is chilled, unmolded, and coated with more ganache for a chocoholics dream. Yum. 1. Prepare cake mix as directed on package, using water, oil and egg measurements above. Bake in two greased and floured 8" round pans at 350 degrees for 35-45 minutes. Cool in pans 10 minutes, remove from pans and cool completely on wire racks. 2. Melt chocolate in medium saucepan over low heat. Heat cream and butter together in a large saucepan until it boils. 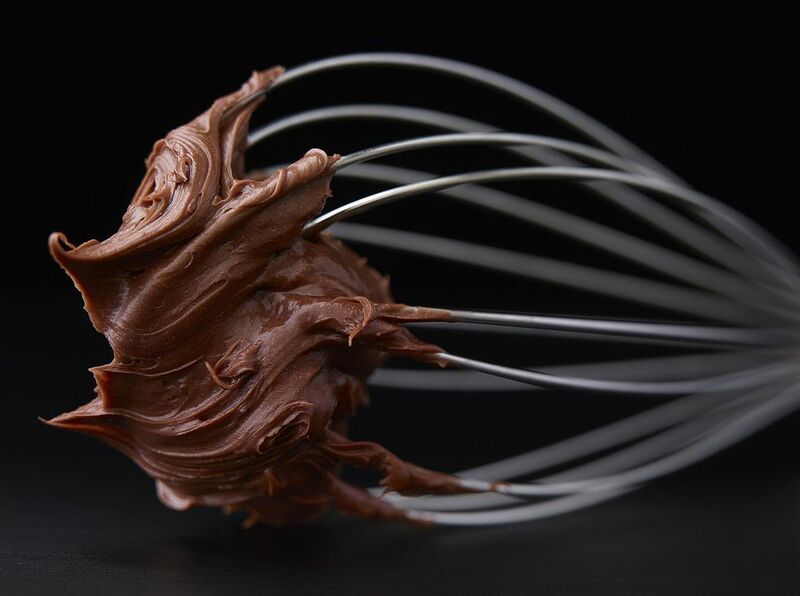 Pour cream over chocolate and beat with wire whisk until smooth. 3. Line 9" springform pan with waxed paper. Cut cooled cake into cubes. 4. Place cake cubes in large mixer bowl. Pour 1-1/3 cups ganache over the cake cubes and mix on low speed with an electric mixture until texture is like thick fudge. 5. Spread evenly in prepared pan, smoothing top. 6. Freeze for one hour. Unmold cake, place on serving plate, remove waxed paper, and coat cake on the top and sides with remaining chocolate ganache. Store in refrigerator.